Thinking Health Communication? Think Mobile. Uptake of mobile phones is pretty extraordinary in Australia. Our population has recently topped 23,000,000 (ABS) yet we have over 30,000,000 (ACMA) mobile phones in use. Are our health agencies keeping up with this? This video above and blog post below explain the rationale for using SMS for health communication, and provides examples drawn from clinical practice. 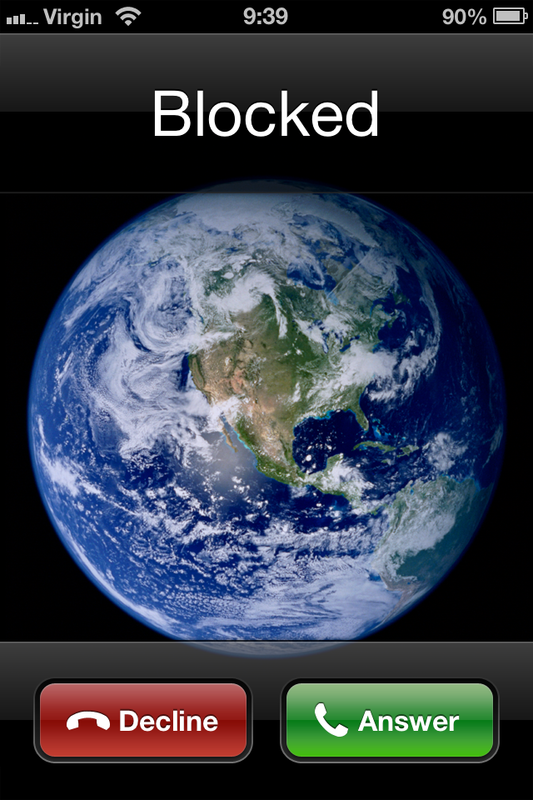 Many health agencies block the number on outgoing calls. 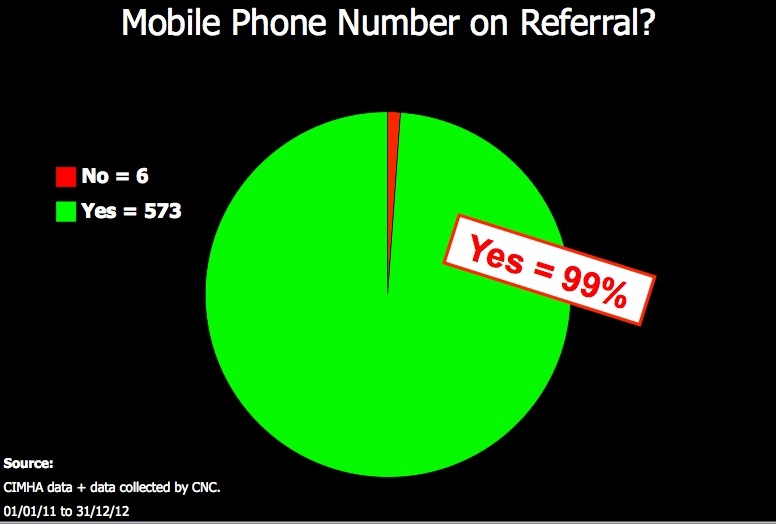 From my experience in a role where I made phone contact with everyone who was referred to the service, I estimate that only one in every three or four calls are answered from a blocked number. From the same role, I found voice-to-text messaging for unanswered calls more common than voicemail by a similar factor – three or four to one. Although voice-to-text accuracy has improved remarkably over the last couple of years it’s still prone to muddling words. The other thing about voice-to-text is that it is difficult to confer detail or convey tone – both of which are important when addressing people who have been referred to a mental health service. 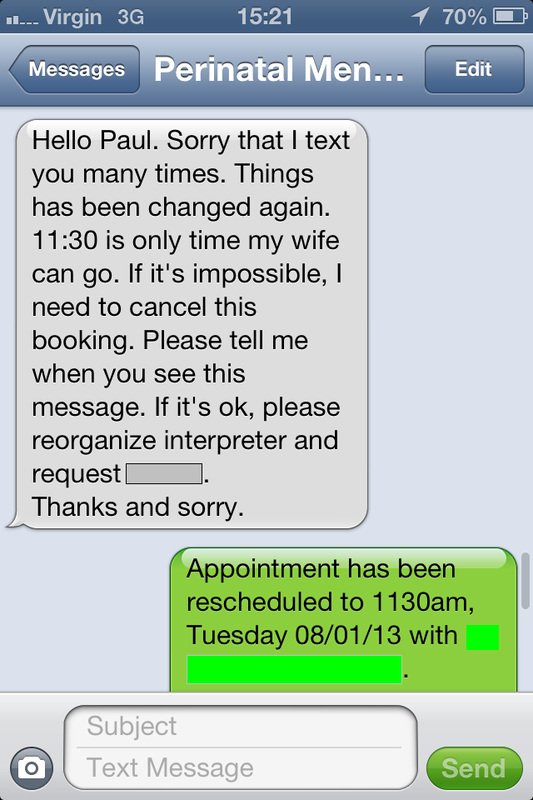 To get around this problem I made a number of template messages on the work mobile phone (a hideously clunky-to-use Nokiasaurus), and used these template messages as an adjunct/alternative to voicemail and voice-to-text. Most of the templates included my name, position, the name of the service, and a shortened URL. The rationale was to use the SMS as an introduction. The wording of the SMS templates was done with input from a very skilled and passionate Consumer Consultant. Nevertheless, when i first started using them I was wondering whether we had got the tone and/or language wrong. There were very few prompt replies. In my personal life SMS conversations have a pretty quick tempo: I send a message, you reply within a minute or so; I send a photo, you send an emoticon straight back. A snappy way to communicate. My Australian accent and this man’s Japanese accent made verbal communication difficult and imprecise. 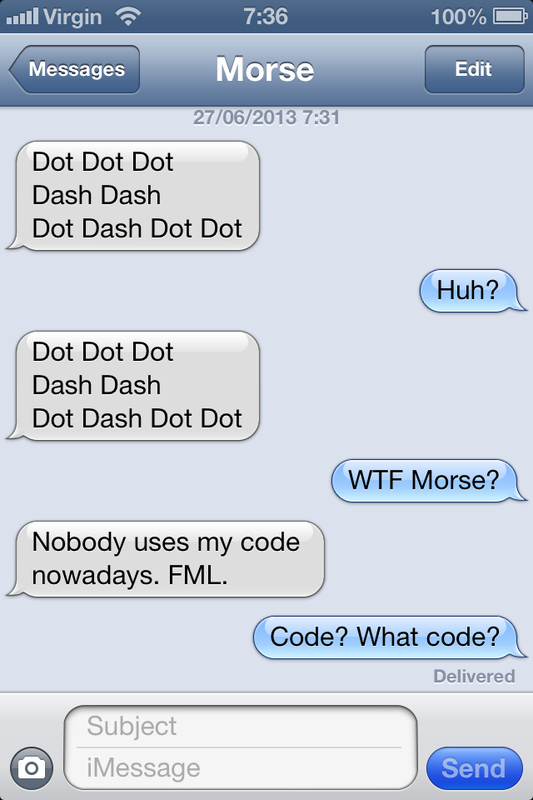 SMS solved that. Using the SMS template above rarely yielded a quick reply. People returned contact sometimes within a few hours, but more typically a day or so later. I imagine (guess) that they were waiting until they were in a place and a head-space where they would feel comfortable (or less uncomfortable?) talking to a mental health nurse they’ve never met. Fair enough – I’d do the exact same thing if the tables were turned. Why use a short URL? Simply, so that those with smartphones can easily visit the web site to see what we’re on about. The web presence and short URL are important, I think – it puts information about your service, alternative services, and other resources directly into someone’s hands. What is lost in corporate branding is made-up for in practicality. 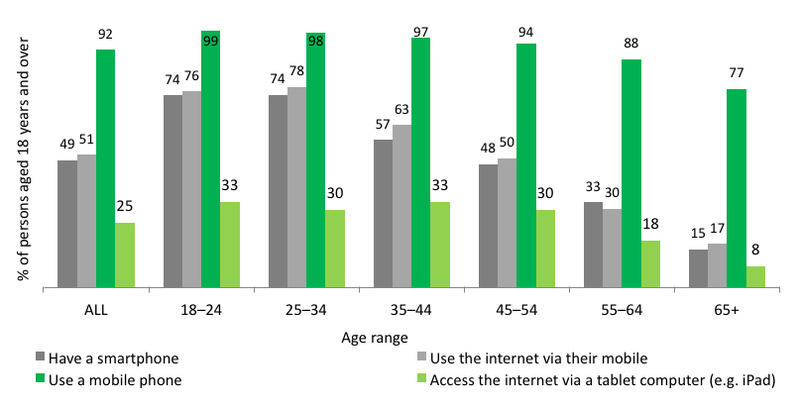 Is it that big a deal – do people actually access the internet from their phone? You betcha! As you can see below, the market penetration of smartphones is highest amongst the age groups most associated with childbearing (i.e. : the perinatal mental health target demographic). Mobile phone, smartphone and tablet usage. Is This All a Bit White & Middle-Class? Put the info where it’s always handy: on your client’s phone. Brochures are so last century. This information together with my clinical experience makes me feel pretty confident to say that mobile phones are not just a middle-class whitefella thing. 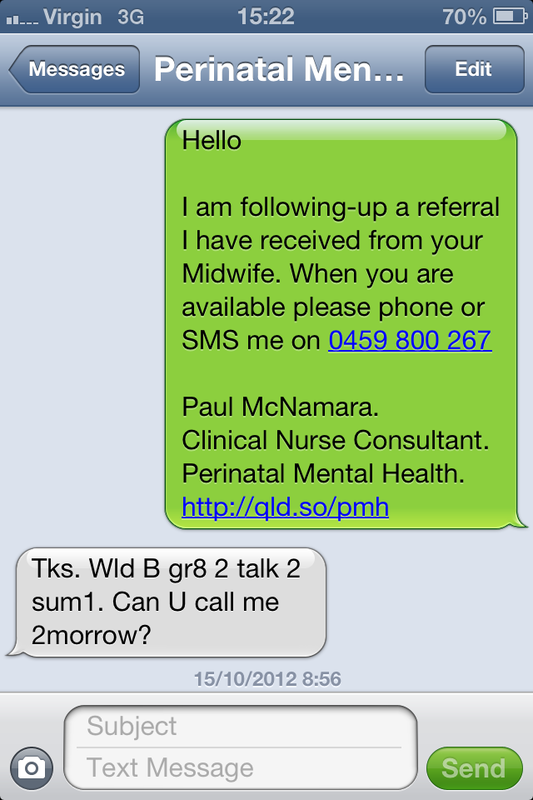 In 2011-2012 19% of perinatal mental health referrals I received were for Aboriginal and Torres Strait Islander women, and 99% of all people referred had a mobile phone number cited on their referral. However, I was less successful in engaging Indigenous than non-Indigenous women via phone. I recognise and accept that my gender and cultural background are barriers for some, but it may also be that the template SMS messages might not be user-friendly across cultures. It’s not for me to say really, cultural safety is “an outcome of nursing and midwifery education that enables safe service to be defined by those that receive the service” (Ramsden 2002). With that in mind, it would be a good idea to revisit the wording of the SMS templates with some Indigenous health professionals and service users before replicating/adapting this communication strategy . 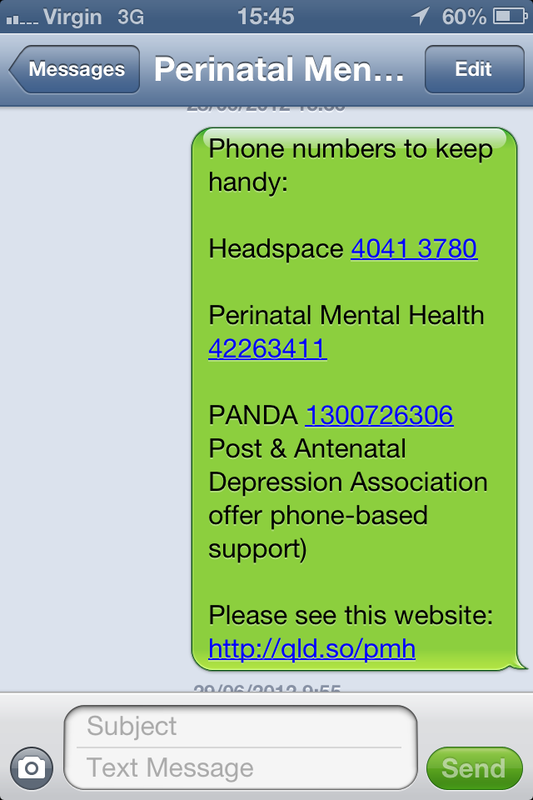 Please do not phone the numbers used in the screenshots as a way to access perinatal mental health or me. The funding period for that role was 23/08/10 – 30/06/13 (more info here). The screenshots with text in green blocks used on this page and in the video are all of fair-dinkum exchanges of communication, but were manipulated via my personal smartphone to capture the way the conversation flowed (forwarded the actual SMS messages to my personal phone from the work Nokiasaurus). The screenshots with text in blue blocks are completely fictional, made only for illustrative, artistic and/or comic affect. It should be obvious that I am not representing any organisation here; if you’re still wondering please visit meta4RN.com/about and see Q13. Ramsden, I. (2002) Cultural Safety: Kawa Whakaruruhau, Massey. As always, your comments/feedback are welcome. This entry was posted in Blog and tagged communication, cultural safety, geeky stuff, mobile phone, nursing, SMS on 29 June 2013 by Paul McNamara.